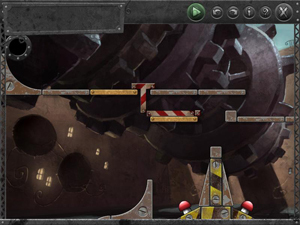 The rolling ball will cross the first little gap on its own. Place the tiny little block so that it's almost over the edge of the platform above the switches. Lay the T-bar on its side next to this, for the ball to smack into.